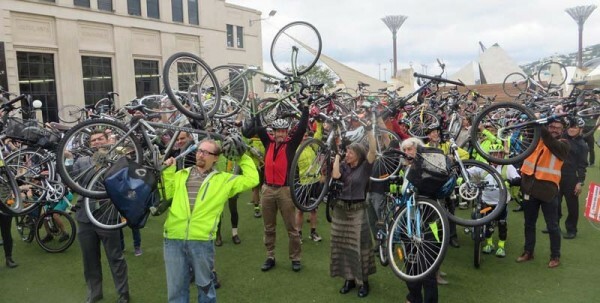 Bike!Whangarei centres round the passionate Paul Doherty. Paul runs a cycle touring business and is deeply involved in community and environmental projects. 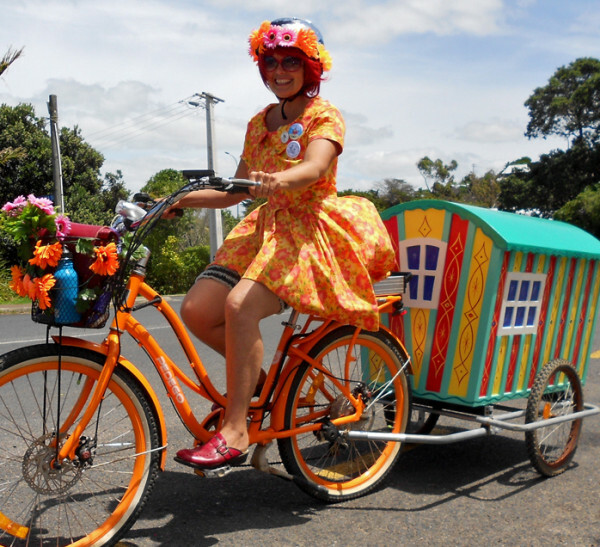 Recent actions include detailed consultation with Council to maximise the usefulness of Te Matau a Pohe coastal path and, through Whangarei Cycle Commuters group, running Frocks and Fashionable Fellows on Bikes rides. UCP project- Northbound 6.5km off-road Kamo route, connecting most Whangarei schools with the CBD. 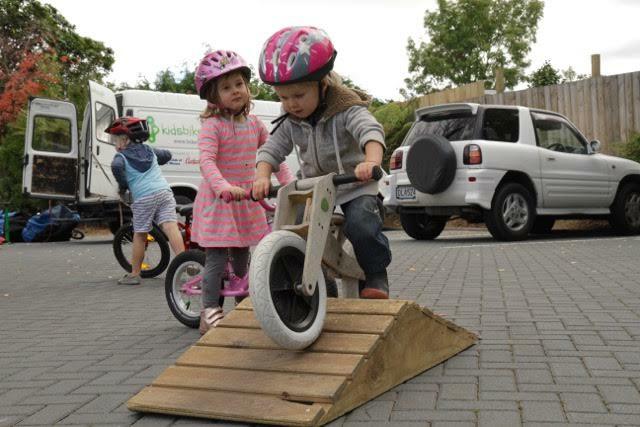 Quoting Tanya Batt's recent post on Cycle Action Auckland's website, there's a Bike Sunday every week 10am on Waiheke– bike skills, fun and training for kids from five to fifty five, courtesy of Gary Wilton and the Waiheke Mountain Bike Club. 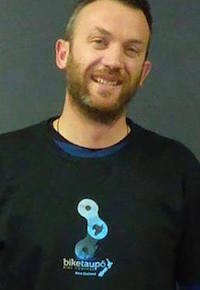 Cycle Action Waiheke is reaching out overseas- they're now officially a supporting member of Cycle Action Auckland. There are whispers of a Waiheke route being considered for Nga Haerenga/ the National Cycle Trail. Nothing official, so fingers crossed. Taking a leading role in the Skypath application isn’t enough for Bevan Woodward, he’s also active in Cycle Action Auckland as secretary. And pushing for better cycleways round Warkworth. 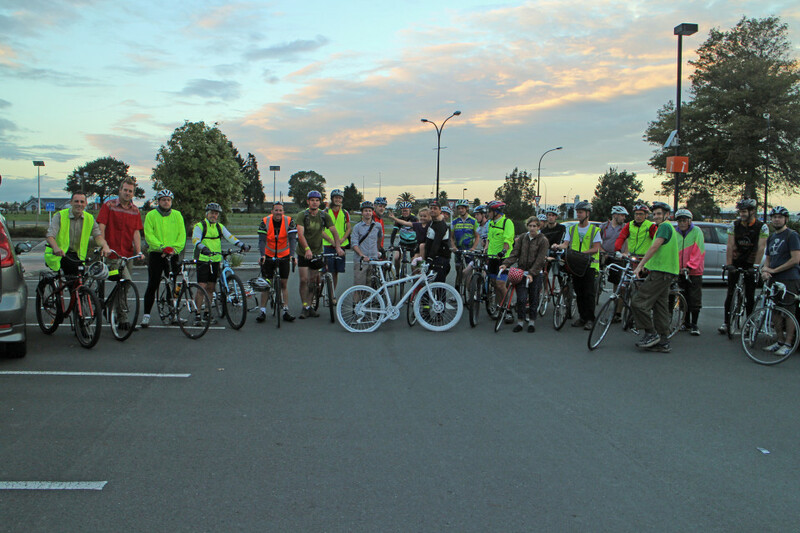 Cycle Action Auckland are the pre-eminent group nationally, with over 150 paid-up members and a very active website and social media pages. Chaired by the redoubtable Barbara Cuthbert, with skilled support from Paul Shortland and Kirsten Shouler, their gorgeous website will give you the full story. While there look out for Jolisa Gracewood's well-written stream of blog posts and articles supporting cycling in our biggest city. UCP projects- $22.5m UCP fund towards a total $54.5m cycleway budget. 39 of this going to ‘Eastern connections with the city centre’. Cycle Action Paeroa Warwick Marshall is the man here, running a blog and social media feed and inspiring others to cycle. He’s keeping up the pressure on the Trail trust and Council to start construction of the Paeroa - Kaiawa section of Hauraki Rail Trail by the end of 2015. Lots happening in Tauranga. Though no formal group’s active at the minute, there are many cycling supporters working from different directions to boost cycling. In the City Council there’s Bruce Galloway; the Mountain Bike Club guys are to be found on the Summerhill, Oropi Grove and TECT tracks; Jen Riley of Sport Bay of Plenty keeps a list of local interested folk, and the Road Cycling Club also support transportation cycling. So, a good example of a loose coalition getting things done. 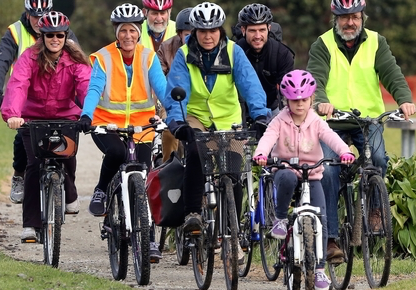 When the Omokoroa route was threatened, Ken Kerr of the Community Trail Trust rustled up a huge rally which was successful in changing Council’s mind on funding. UCP projects- Several routes, both on- and off-road, connecting up the spread-out network around the CBD; the 16km Omokoroa route. 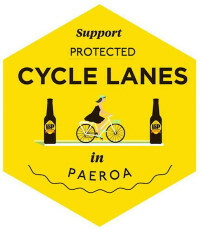 Claire Sherrington, Peter Bos and the crew at Cycle Action Waikato have good positive contacts with their local NZTA representatives, while Hamilton Council struggles with finding cash for cycling projects. NZTA have been helpful with creating a critical 1.4km link along the SH1. NZTA are also working on a route near the SH1-SH3 junction which will consist of 3.7 km of shared path and 4 km of 'treatment'. This will link 7 schools, 2 shopping centres, and new housing developments. CAW meet the first Tuesday of every month in The Cook Pub and Bar, using the CAN website, membership email list and ‘Bike Hamilton’ facebook group to communicate. CAW liaise with other local advocates groups like Generation Zero, CCS Disability Action Waikato and Living Streets Aotearoa. 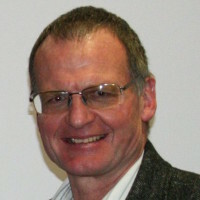 Rob Davidson is chief submissions writer. CAN are delighted that CAW are already putting plans in place to host 2016’s CAN-Do. See you there. UCP project- Western Rail Trail, a 2.7km off-road route connecting western suburbs with CBD. Rotorua is lucky to have the likes of David Crowley and Harm Zuidmeer, where they’ve similar frustrations to many of us round the country, like a rash of roundabouts and sometimes poor implementation of cycleways. David finds some of the engineering solutions we’re seeing are a bit old-fashioned, being guided by rules and standards that cater for fast flow of motor vehicles. 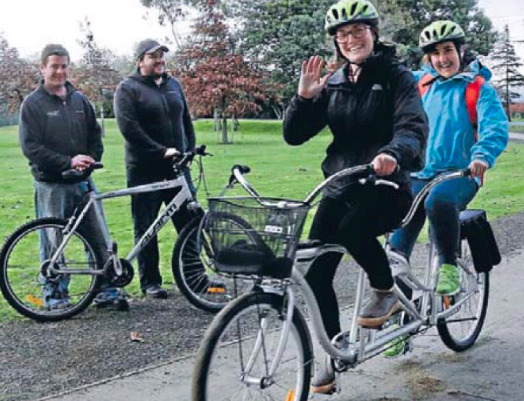 Rotorua Cycle Action pushed Council to go ahead with a new Green Corridor serving the CBD, and opening up a magical lakeside route taking in the Maori Village, the Polynesian Spa, thermal gardens, and the museum, and linking back to the town centre. See you at the Bicycle Festival in February. UCP projects- For the seemingly bargain budget of $5.5m, a 23km ‘Cy way’ network consisting of off-road, shared, and speed-reduced quiet street ways will knit together the bulk of Rotorua’s urban area. Cycle Aware is no more, but -perhaps a sign of the times- the CAG as an offshoot of the Council is doing great things. Katrina Duncan works within the Council’s Group to make more room for cycling. Katrina’s also leading a huge project to put bikes in schools in every school in the region. The CAG meets monthly and communicates with a 50-strong email list. UCP project- Wainui to CBD. $4.3 million total project budget for 6.5m of cycleways connecting residential districts to the CBD. 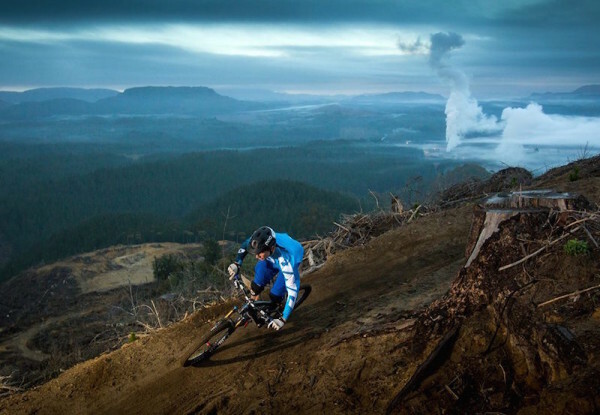 Bike Taupo is an incorporated group chaired by Rowan Sapsford, set up 12 years ago to create Craters Park Mountain Bike track. Its Committee decides on what projects and work to focus on. Kids BT came about some time ago, when Taupo District Council was running after-schools activities. 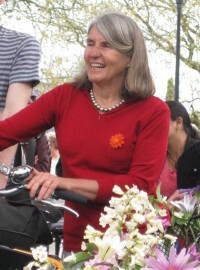 Local legend Cath Oldfield sorted out a collection of bikes, then a van to bring them to schools. Now, it's reaching out to thousands of kids- Cath reckons about 13,000 since November 2012, with 300 kids learning to ride from scratch.Bike Taupo was set up 12 years ago to build a MTB track between Taupo and Huka Falls and be a voice for biking in Taupo, and now a formidable organisation that builds trails, advocates for biking and organises community projects. Bike Taupo liaise closely with Council, seeking leadership and making submissions, for example to the recent Long Term Plan consultation.Looking at how much work is done in NZ on voluntary trail building for mountain biking, chair Rowan Sapsford wonders if there isn't an idea in there for creating on-road cycle infrastructure. If Councils can't afford to do it, then could cyclists get the legal approval, do the designs to the right standards (or better!) and put all that volunteer energy to good use!? UCP projects- None listed on NZTA documentation. 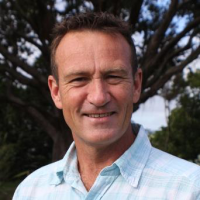 CAN Chair Graeme Lindup is NTCA's founder, and does chairing duties there, too. A recent development is the Bike Kitchen organised by Liang Chen and Alan Chapman. These are appearing in several places including the established one in Dunedin, RAD bikes in their designer home in Christchurch, and (soon) here in Nelson. NTCA are established as a legal financial entity and monthly meetings of five to ten participants. Joelle's doing the training for Let's Get Going, cycle skills for kindie students. UCP projects- two small schemes- Coronation Avenue, connecting the largest intermediate school into the existing cycle network, and the 680m long Mangati Pathway. 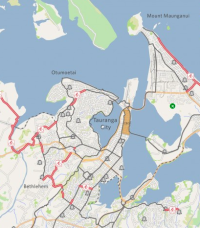 UCP shared pathways - Te Tuaiwi near the CBD, and City to North Mole riverside route. The forum of Matthew McKenzie and colleagues. CAM persiss with urging on Council’s only ‘active transport manager’ to buck up Council’s ideas, and made submissions to Long Term Plan consultations. 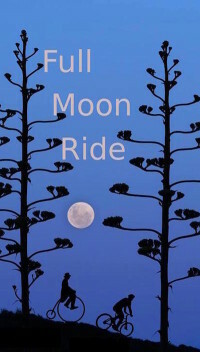 Matthew and Co. run the Full Moon Ride once a lunar month and the Tour de Lazy whenever energy levels go high enough. UCP Projects- Manawatu River Bridge and shared path $3m of $9.6m. 6.6km, off-road, from Linton towards CBD. Also a pair of underpasses on the Mangaone network. An extremely professional approach to mountain bike events and trails development -recently granted Gold Level status by the International MTB Assoc- spills over into contributions to transportation cycling, with submissions to and consultations with Porirua City Council. 1,500 volunteer hours on trail building and maintenance were clocked last year. Park partnership with PCC is an important step to be accomplished. Veteran advocate Lynn Sleath has recently renewed calls for urgent safety improvements on SH1 Otaki Bridge. The long and narrow bridge has been a long-running issue which NZTA need to get to grips with. 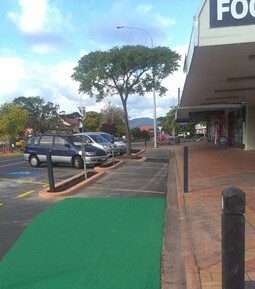 As you’ll see in the current Chainlinks, Lynn is also battling for cycling provision in a new strip-mall development zone, with poor understanding on the part of the Waikanae Community Board. Just up the road in Otaki, Liz Mikkelsen, also formerly of CAN, works on the same bridge issue. New warning lights are to be installed -soon, she hopes, but she would rather a lower speed limit on the bridge. Also slow in arriving is the Kapiti Coast Cycle and Walkway, which begins in Paekakariki and now ends in Peka Peka. Brighter news- Otaki College has established a Green Bike project by working with the MenzShed there, while a 2.5 km, off-road shared pathway has been built between the beach and the village and excellent cycle lanes marked with cycle logos now join the village and SH1 business district. UCP Project- Stride’n’Ride Kapiti Coast. When I visited in July, Tom Halliburton took me hooning round State Highway 2 and the Valley. Here he is on the newly widened and sealed Hutt River Trail. 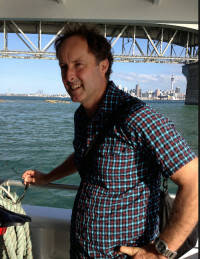 Tom is a dynamo, keeping close contacts with the NZTA, attending bimonthly meetings with Council, hooked up with whats happening in Wellington, and has some idea of the national scene after a stint on the CAN committee. Tom works with Elaine and Derek Richardson, David Tripp, Alan White, Rod Badcock and others. They meet in person once a month and communicate by email list and Google group. You’ll see mention of HCNs recent win in the current Chainlinks- by applying political pressure, HCN persuaded NZTA to significantly change the proposed SH2/ SH58 junction flyover design. UCP Projects- one of the big ones: various sections of the Wellington to Melling route. A vital part of the regional cycling network, heavily used by commuters, but with a total price tag in the vicinity of $60 million and all the usual issues, its a difficult project. My favourite athletic pursuit of wobbling from winery to winery is to become easier soon. A track adjacent to SH6 has just been opened, allowing off-road biking along Forrest and Nautilus wineries. It also links up with Conders MTB track. There’s also a track taking shape linking Picton and Havelock above Queen Charlotte Sound. 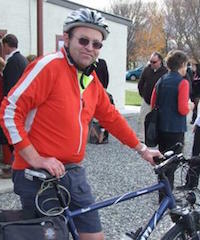 Robin Dunn of Bike Walk Marlborough and the Marlborough District Council is cycling’s champion in the area. Chris Allison (left) and John-Paul Pochin are the eBike of change in the Nelson-Tasman region, quietly but powerfully accelerating cycling to a higher level. Having built up excellent working relationships with NZTA staff and local councils over many years, BNB take a central role in Road Safety and Active Travel forum meetings. 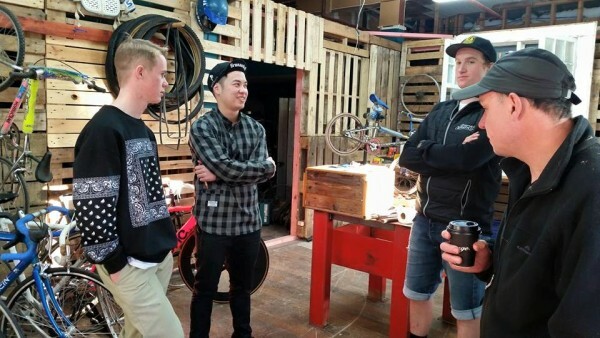 The group recently acquired space for a bike kitchen, which complements their work for Sport Tasman and Councils, doing free bike tune-ups and maintenance classes at festivals, workplaces and markets. UCP projects- $3m of a total of over $20 for the Rocks Road coastal route. Cyclists on the Coast, like Tauranga, aren’t banded to gather in a single group but there are plenty of keen voices there. They've got the awesome Wilderness Trail now, they're busy riding it! CAN is getting in touch. 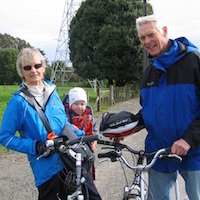 Again, no structured organisation in Kaikoura, but we noticed Ralph Hogan in the Farifax media, battling for some provision for cyclists along SH1 through town, and give him a big shout out. Claire Simpson, Don Babe, Dirk de Lu, Rob Fleming, and many many others including David Hawke, co-chair of CAN run the vibrant and burgeoning Spokes. Spokes do the things we all aspire to- researching what’s going on, tracking road designs, nurturing relationships (with roading authorities, political decision makers and the media) and making detailed coherent submissions. Again you'll read plenty of info on Spokes website. UCP Projects- NZTA are rowing in behind the CCC’s pre-existing plan to create 13 cycleways radiating from the CBD. Robert Thompson, Jon Dean, Haike, Carol, Ben and Gerard do what it says on the tin- make streets sweet for people on bikes. Spokes Dunedin are one of the few groups country-wide who have a dedicated office space, right near the Octagon. Like CAW and other groups, their full legal and financial structure is worn lightly; the emphasis is on being in close touch with that happens on the street, keeping tabs on Council and the NZTA, and rallying crowds of supporters when needed, including sports cyclists -a list of 4,000 supporters is held. All new volunteers are given a simple introductory task - write a letter to the editor of a local/regional newspaper supporting better provision for cycling. With routes being developed round the harbour, in the southern district of town, and along state highways through the CBD, there’s a lot to monitor. UCP projects- Central City including a new bridge to the port district; North East Valley projects. NZTA already working on protected cycleways along the multi-lane, one-way SH1 routes. Stephen Wood covers a lot of ground here, including the one & only Rail Trail. Stephen also works on the CAN committee and edits Chainlinks. Thanks to all who have spent time providing info. Apologies to any group missed or misquoted; all errors are mine. Info on UCP projects was downloaded from the NZTA’s website over last 4 weeks.